It is not a brand synonymous with style, but WWF, the world’s biggest conservation organisation, is teaming up with a London-based online fashion community to produce what it claims will be the world’s first 100% sustainable clothing range. Big-name stores including Selfridges and Harrods are being lined up to sell the range in the UK, but WWF wants to make this a global project. It is determined to prove to the fashion industry that it is possible to design and produce clothes with zero impact on the environment. Orobio was approached at the end of last year. The project was attracted by the way his crowdsourcing platform allows anyone, from anywhere in the world, to have a hand in making clothes. Participants in the community upload their design ideas and the best ones will be chosen for the final collection, which is code-named “The New Normal Project”. It will be overseen by the Nordic Fashion Week Organisation, based in Finland. All profits from the venture will go to WWF. The clothes will use a newly designed cotton fibre, from a Finnish startup called Infinited Fiber, that can be recycled an infinite number of times and which won’t, in theory, wear out. But this project goes way beyond the fabric, Orobio says. In a detailed 150-page document, WWF has stipulated “all the things we can’t do”. All of that is expensive, perhaps prohibitively so, which is one of the main reasons that sustainable fashion has yet to take off. But Orobio believes the bigger barrier is the lack of consumer buy-in and the fact that most shoppers are unaware of how polluting the industry is – fashion and textiles, says bestselling US designer Eileen Fisher, are second only to the oil industry as the biggest polluters on the planet. Tom Cridland’s unique selling point is the 30-year guarantee he attaches to his T-shirts, jackets and trousers. It is not just the energy-intensive process of making the garments, the reality is that most of the clothes we wear end up in landfill. According to a recent Greenpeace report, the average European consumer now buys 60% more clothing items a year and keeps them for half as long as 15 years ago. Synthetic fibres are one of the biggest problems. Manufacturing polyester, for example, which is already present in 60% of clothing, produces almost three times more carbon dioxide than organic cotton, and it can take decades to degrade – as well as polluting marine environments with plastic microfibres. And around 21 million tons of polyester was used in clothing last year, up 157% from 2000. Cridland’s unique selling point is the 30-year guarantee he attaches to his T-shirts, jackets and trousers. The notion that we can buy an item of clothing and keep it for much longer is taking off, he says, with sales now over £1m a year. Karinna Nobbs, a lecturer at London College of Fashion, thinks WWF’s involvement could make some difference, but ultimately sustainable fashion needs big-name front-runners to make it more of an industry norm. “If that doesn’t happen, I think we’re truly in danger of ruining the planet,” she says. Some big-name designers are already putting sustainability at the forefront of their brands. At a recent speech on sustainability at London College of Fashion Stella McCartney declared that her industry was “getting away with murder” yet even her latest collection is only 53% sustainable. 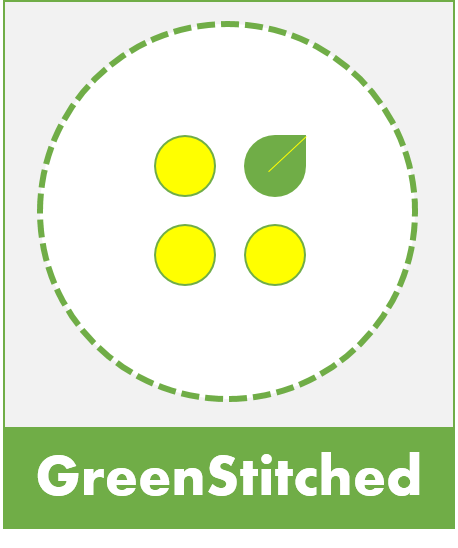 One of the key barriers to consumer take-up is that the expense involved in turning every part of the life cycle of a garment green means the cost of sustainable clothing is out of the reach of most. Current prices at AwayToMars, for example, range from £50 for a T-shirt to £390 for a wool jacket. Cridland’s signature 30-year jacket costs £190 while a T-shirt is £35. Of course Cridland and the sustainable fashion movement argue that you end up spending more in the long term with a fast-fashion route, but others say that is part of the attraction – the ability to buy clothes and discard them when fashions or fancies change. Fashion lecturer Nobbs believes the industry is close to a tipping point. “Prices will normalise – they will have to as more brands get involved in sustainable clothing,” she says. Orobio agrees that price is an issue but says he is undaunted. “My main goal is to be affordable – I don’t want to exclude the people who design for us,” he says. He believes that people will want WWF collection pieces because they will be “buying a piece with a huge story. It’s very different form buying something from Zara that was just copied”. His online community will start having their say on the new WWF project from next month, and the aim will be to come up with six to 10 different looks. The prototype of the collection will be shown at the Helsinki Fashion Week in July. This entry was posted in Brands, Manufacturing and tagged 30 year sweatshirt, 30 year T-shirt, AwaytoMars, eco-fashion, ecofashion, Eileen Fisher, Fast Fashion, fastfashion, Finland, Greenpeace, Harrods, Helsinki Fashion Week, Infinited Fiber, London College of Fashion, microfibers, Nordic Fashion Week, Nordic Fashion Week Organisation, Selfridges, Stella McCartney, Sustainable fashion, synthetic fibers, The Guardian, The New Normal Project, Tom Cridland, WWF. The first time professor Sherri Mason cut open a Great Lakes fish, she was alarmed at what she found. Synthetic fibers were everywhere. Under a microscope, they seemed to be “weaving themselves into the gastrointestinal tract”. Though she had been studying aquatic pollution around the Great Lakes for several years, Mason, who works for the State University of New York Fredonia, had never seen anything like it. New studies indicate that the fibers in our clothes could be poisoning our waterways and food chain on a massive scale. Microfibers – tiny threads shed from fabric – have been found in abundance on shorelines where waste water is released. Now researchers are trying to pinpoint where these plastic fibers are coming from. In an alarming study released Monday, researchers at the University of California at Santa Barbara found that, on average, synthetic fleece jackets release 1.7 grams of microfibers each wash. It also found that older jackets shed almost twice as many fibers as new jackets. The study was funded by outdoor clothing manufacturer Patagonia, a certified B Corp that also offers grants for environmental work. “These microfibers then travel to your local wastewater treatment plant, where up to 40% of them enter rivers, lakes and oceans,” according to findings published on the researchers’ website. Synthetic microfibers are particularly dangerous because they have the potential to poison the food chain. The fibers’ size also allows them to be readily consumed by fish and other wildlife. These plastic fibers have the potential to bioaccumulate, concentrating toxins in the bodies of larger animals, higher up the food chain. Microbeads, recently banned in the US, are a better-known variety of microplastic, but recent studies have found microfibers to be even more pervasive. In a groundbreaking 2011 paper, Mark Browne, now a senior research associate at the University of New South Wales, Australia, found that microfibers made up 85% of human-made debris on shorelines around the world. While Patagonia and other outdoor companies, like Polartec, use recycled plastic bottles as a way to conserve and reduce waste, this latest research indicates that the plastic might ultimately end up in the oceans anyway – and in a form that’s even more likely to cause problems. Breaking a plastic bottle into millions of fibrous bits of plastic might prove to be worse than doing nothing at all. While the UCSB study is sure to make waves, researchers are consistently finding more and more evidence that microfibers are in many marine environments and in large quantities. What’s more, the fibers are being found in fresh water as well. “This is not just a coastal or marine problem,” said Abigail Barrows, principal investigator of the Global Microplastics Initiative, part of the research group Adventurers and Scientists for Conservation. Of the almost 2,000 aquatic samples Barrows has processed, about 90% of the debris was microfibers – both in freshwater and the ocean. Microfibers are also the second most common type of debris in Lake Michigan, according to Sherri Mason’s research. Mason is finding that the wildlife is indeed being affected. Mason said her concern is not necessarily with the plastic fibers themselves, but with their ability to absorb persistent organic pollutants such as polychlorinated biphenyls (PCBs), and to concentrate them in animals’ tissues. Gregg Treinish, founder and executive director of Adventurers and Scientists for Conservation, which oversees Barrows’s microfibers work, said studies have led him to stop eating anything from the water. “I don’t want to have eaten fish for 50 years and then say, ‘Oh, whoops’,” Treinish said. His organization received $9,000 from Patagonia to research microfibers in 2016. Rochman’s own recent study of seafood from California and Indonesia indicates that plastic fibers contaminate the food we eat. Testing fish and shellfish from markets in both locations, Rochman determined that “all [human-made] debris recovered from fish in Indonesia was plastic, whereas [human-made] debris recovered from fish in the US was primarily fibers”. Rochman said she can’t yet explain why fish in the US are filled with microfibers. She speculates that washing machines are less pervasive in Indonesia and synthetic, high performance fabrics, such as fleece, which are known to shed a lot of fibers, are not as common in Indonesia. Companies that have built their businesses on the environment have been some of the first to pay attention to the growing microfiber issue. Patagonia proposed the Bren School study in 2015, after polyester, the primary component of outdoor fabrics like fleece, showed up as a major ocean pollutant. Patagonia is part of a working group, as is Columbia Sportswear and 18 others, studying the issue through the Outdoor Industry Association (OIA), a trade group consisting of about 1,300 companies around the world. “We believe the outdoor industry is likely one of those [industries that contribute to the microfiber issue], but we just don’t know the breadth,” said Beth Jenson, OIA’s director of corporate responsibility. Miriam Diamond, an earth sciences professor who runs the University of Toronto lab where Rochman now works, said she believes so-called fast fashion could play a larger role than the comparatively smaller outdoor apparel industry. “What I suspect is that some of the cheaper fabrics will more easily shed fibers. It’s probably that the fibers aren’t as long or that they aren’t spun as well,” Diamond said. Inditex, which owns Zara and Massimo Duti among others, said microfibers fall into the category of issues covered by its Global Water Strategy, which includes ongoing plans to evaluate and improve wastewater management at its mills. H&M declined to comment on the microfiber issue, as did Topshop , which responded by email “we are not quite ready to make an official statement on this issue”. Mark Browne, the researcher responsible for first bringing microfibers to public attention, said that the grace period is over. “We know that these are the most abundant forms of debris – that they are in the environment,” Brown said. He added that government and industry must be asked to explain “what they are going to be doing about it”. The Amsterdam-based Plastic Soup Foundation, an ocean conservation project co-funded by the European Union, said better quality clothing or fabrics coated with an anti-shed treatment could help. The foundation’s director, Maria Westerbos, said a nanoball that could be thrown into a washing machine to attract and capture plastic fibers also seems promising. Another solution may lie with waterless washing machines, one of which is being developed by Colorado-based Tersus Solutions. Tersus, with funding from Patagonia, has developed a completely waterless washing machine in which textiles are washed in pressurized carbon dioxide. Others suggest a filter on home washing machines. More than 4,500 fibers can be released per gram of clothing per wash, according to preliminary data from the Plastic Soup Foundation. But the washing machine industry is not yet ready to act. Jill Notini, vice president of communications and marketing for the Association of Home Appliance Manufacturers, said the washing machine could very well be a source of microfiber debris, but that the proposed solutions are impractical. She added that the industry still has trouble getting people to clean lint from the filters in their dryers. For Plastic Soup’s Westerbos, the reluctance of the industries that operate in that crucial place between the consumer and the world’s waterways can no longer be tolerated. *This story first appeared on The Guardian. This entry was posted in Brands and tagged Microplastic, Ocean waste, Patagonia, plastic, The Guardian. An ambitious effort by a global apparel industry group to measure the social and environmental impact of making clothes and shoes has yet to deliver on its promise. From the cotton farm to the clothing factory to the fashion show, the global apparel industry has more than its share of social and environmental problems. Behind the images of beauty and style is an often dirty business that relies onwater-intensive methods and toxic chemicals in its factories, most of them in poor countries and hidden from view. While garment work has provided a pathway out of poverty – now in China, but earlier in the US and UK – no worker should be exposed to the unsafe conditions that led to calamities like in Bangladesh, where in 2013 the collapse of the structurally unsafe Rana Plaza building killed more than 1,100 workers. No company can solve such problems on its own. Yet an ambitious effort to bring the industry together to deliver sweeping changes has yet to deliver. The Sustainable Apparel Coalition (SAC), a global alliance of retailers, brands, suppliers, advocacy groups, labor unions and academics, aims to create “an apparel, footwear and home textiles industry that produces no unnecessary environmental harm and has a positive impact on people and communities”. Four years ago, I took a close look at the coalition’s promising beginning. Last month at the Copenhagen Fashion Summit, an industry gathering focused on sustainability, I caught up with apparel industry executives and their critics to see how much progress the industry group has made – and opinions are mixed. To its credit, the coalition, launched in 2009 by Walmart and Patagonia, has brought together 175 members whose companies account for more than 40% of the global apparel industry. They have been building what they expect to be the principal driver of change in the industry: a set of three online tools, known as theHigg Index, that measure the social and environmental impact of brands, manufacturing facilities and products. Companies are supposed to use the index to collect information from their own operations and their suppliers’, and all of it goes into a database that coalition members can use to evaluate suppliers. About 6,000 factories have provided information about their social and environmental impact. But most coalition members have been slow to use the index, and there’s no evidence they are reducing – not merely reporting – their impact. A Higg tool designed to measure a product’s footprint – information such as the raw materials and energy used that might interest consumers – won’t be completed until next year. What’s more, none of the social and environmental data being collected is publicly available, at least for now. Companies aren’t even permitted to release their own Higg Index data. Until the data becomes public, its value will be limited. Environmental and human rights groups that want to hold the industry accountable don’t have access to the information. Nor do investors, who worry about supply chain and reputation risks, have a reliable way to measure one company against another. Consumers who want to know how and where T-shirts or shoes are made will have to wait before they can use the data to learn whether those items are manufactured ethically. Right now, they get little information. Knowing, for example, that a shirt is composed of organic cotton or recycled polyester doesn’t say anything about the factory conditions where it was produced. Several big companies, led by H&M and Target, have embraced the Higg tools, as has Patagonia. Others have been slow to use them, but the coalition declined to identify the laggards. Several major industry players, including fast fashion retailer Forever 21, have declined to join the SAC at all. Nike says it hasn’t used Higg widely, not because it doesn’t support SAC’s effort but because of what Hannah Jones, its chief sustainability officer, describes as “technical, boring IT reasons”. Nike monitors its supply chain using its own software, Jones says. Several reasons explain why the index hasn’t been widely used. For one thing, it’s still under development. Building the Higg Index is a complex undertaking, Kibbey says. The coalition has to balance competing demands – making tools accessible and relatively easy to use, yet powerful enough to capture an array of environmental and social impacts from farms, factories and stores. Brands also are resistant to spending the time and energy to gathering data, especially from their suppliers. Making a piece of clothing involves multiple suppliers, including: farmers who grow the raw materials; dye-and-finishing mills where environmental impacts are greatest; and cut-and-sew factories where garments are produced. But brands don’t typically deal directly with all those suppliers, and many don’t bother to dig deep into their supply chains. Several coalition members tell me they plan to make the index data public eventually. Kibbey says his members have not agreed when that information will become public. In the meantime, individual brands have launched their own campaigns to address environmental and social challenges. Nike, for example, has invested in designing and making sneakers that use less material. H&M has improved the dirty process of dyeing textiles and nudged its customers to recycle their clothes. Patagonia discovered slave labor practices among its suppliers and took steps to root them out. But those efforts, while worthwhile, aren’t enough to reduce the enormous resource requirements of the fashion business and the waste it generates. In the US alone, 10.5m tons of textiles go to landfills each year. There’s lots of talk in the industry about the circular economy, but real progress has been scant. This entry was posted in Brands, Manufacturing and tagged H&M, Higg Index, NRDC, Sustainable Apparel Coalition, The Guardian. This entry was posted in Brands and tagged Bangladesh, H&M, Higg Index, Nike, Rana Plaza, Sustainable Apparel Coalition, Target, The Guardian. The jean company, winner of the Sustainable Style Award sponsored by Eco Age, on the lasting appeal of denim. In the 12 years since, the Nudie attitude to suppliers and customers hasn’t changed that much. The company is a member of the Fair Wear Foundation, which strives to improve working conditions in the textile industry. It also works with Textile Exchange – an organisation that supports the organic cotton industry. Nudie only partners with a small, carefully picked group of suppliers so it’s possible to ensure that they comply to the Nudie code of conduct. As a customer, if you buy their jeans, they’ll repair them for you. 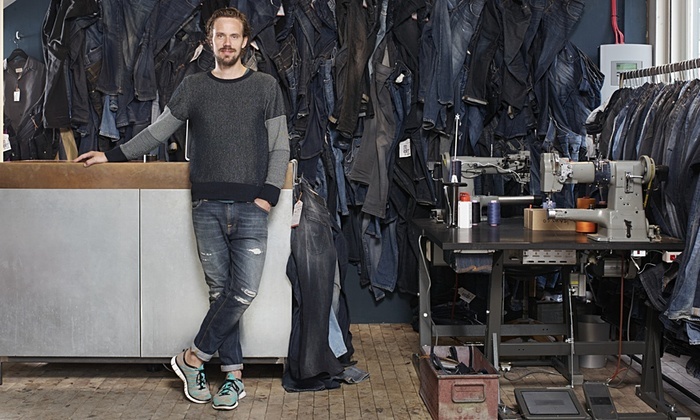 If you’re bored of their jeans, hand them into a store and you get a 20% discount off your next pair and Nudie recycles the denim. **This post first appeared on The Guardian here. This entry was posted in Brands and tagged Nudie Jeans, Observer Ethical Awards, organic cotton, The Guardian.